Designed by Joe Colombo for O-Luce in 1966. Joe Colombo was one of the greatest designers of the 20th century. The furniture and lighting he created was practical, comfortable and pleasing for the eye. 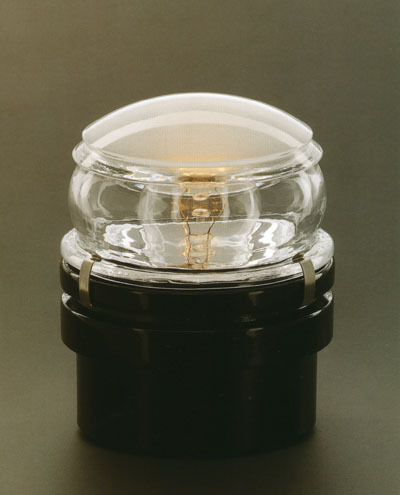 The classic Fresnel lamp is a timeless lamp par excellence. Suitable for most indoor and outdoor environments providing direct and diffused light. Joe Colombo used this lamp in his own home as well. Material: Lacquered aluminum support and fresnel lens diffuser.